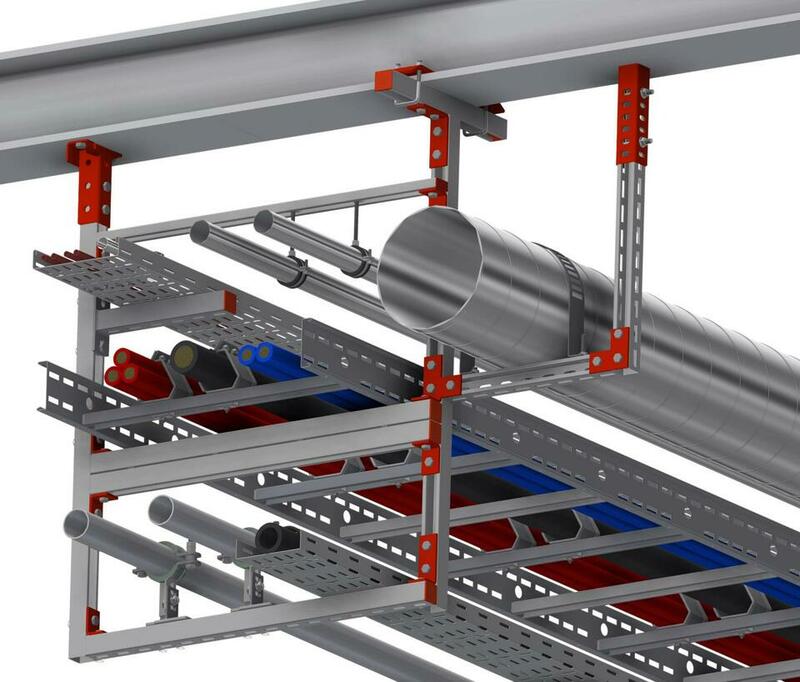 UNO is a traditional, tried and tested support system comprising simple U-shaped profiles. 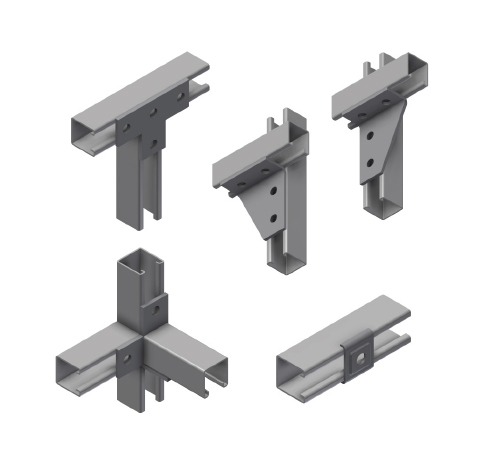 The channels are bolted together to form support configurations using a wide range of brackets and accessories. 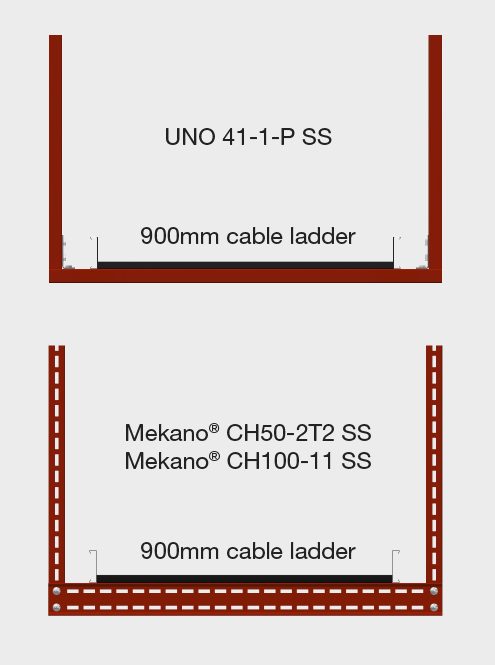 Unlike our Mekano® System, UNO cannot be fitted back-to-back without the use of additional brackets. UNO is available in single and double U-configurations, in perforated and non-perforated types. Whilst compact in profile, they offer good strength. 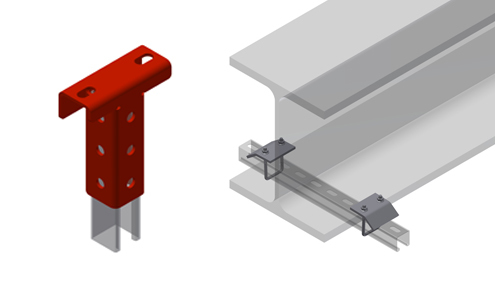 Bracketry is generally in 5 mm 316L SS or 6 mm HDG steel with 13 mm holes suitable for M12 bolts (some exceptions apply). 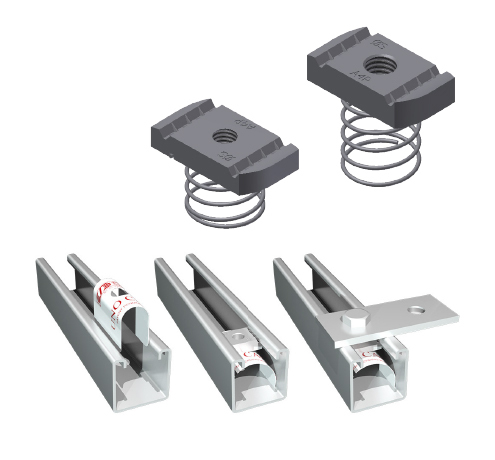 We offer a range of bolted starters suitable for both single and double UNO channels, together with a broad selection of beam clamps. UNO nuts are traditionally supplied as spring nuts with different lengths of spring required depending on the profile depth. The springs can become tangled and must be loosened before use, increasing fitting time. As a solution to this, we offer UNO cards which are reusable, flexible, one size-fits-all plastic cards, to hold the nut securely during fitting.